Conversion therapy is treatment based upon the belief that LGBT persons make a choice to be who they are. The false belief that LGBT people are abnormal. LGBT people are not abnormal and they do not make a choice. LGBT people are born the way they are. Conversion therapy also has the definite intention of attempting to change an LGBT person’s sexual orientation, gender identity or gender expression. There is no need to change an LGBT person because they are born perfect the way they are. Licensed health care professionals continue to practice conversion therapy. This “therapy” has been continuously debunked and has been declared to be an unethical practice for licensed health care professionals. All major medical, psychological and social worker organizations have deemed this practice unethical; American Medical Association, American Psychiatric Association National Association of Social Workers and the National Association of School Guidance Counselors to name a few. It is unfortunate that there are still licensed health care professionals who practice this debunked therapy. Therefore, legislative efforts must be generated to deter these licensed health care professionals from using this form of quackery on LGBT youth. The reason youth are the focus of legislation is that, many times youth are coerced by family or friends, to undergo this type of therapy. The type of coercion that has faced some LGBT youth is go to therapy or lose your home. That is not a choice. One would expect the federal or state legislatures to intervene on the youth’s behalf. The federal government refuses to even move this proposed legislation out of committee for a variety of political reasons. There have been nine states who have seen this therapy for what it is and had the wisdom and courage to pass legislation banning this therapy. There have also been thirty-two municipalities who have passed legislation banning health care professionals from using conversion therapy on youth. Since the federal government and the majority of states refuse to prevent this debunked therapy from being practiced on LGBT youth, grassroots efforts are needed to block this therapy from being preformed on LGBT youth. Grassroots movements are not created by politicians. Grassroots movement is created by concerned citizens who see a need to change a dangerous or wrong situation. 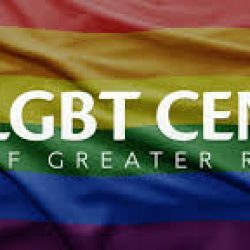 The Reading City Council worked with The LGBT Center of Greater Reading and the Bradbury-Sullivan LGBT Community Center of Allentown in the passage of such an ordinance. Reading City Council had the foresight to see the need to ban this type of unethical and dangerous therapy practiced by licensed healthcare professionals.